How often do you think about emergencies or disasters? Probably not very often. Maybe after it happens to someone else. However, taking just a few steps can give you the tools to ensure you and your family’s safety in an emergency. Different types of disasters and emergencies happen in communities across the country — flooding, severe weather, wildfires, natural or man-made disasters — but there are key steps that every household can take to be better prepared for them. If you do nothing else this month, take time to create a disaster plan including a home fire escape plan. Many people think that it will be easy to grab items from your pantry if disaster strikes. But what if you aren’t at home? What if your family is separated? What if you have to leave quickly? What about your elderly neighbor? Or your pets? As of 2016, the National Household Survey revealed that, while more that 75 percent of Americans surveyed report having supplies set aside in their homes just for disasters, less than 50 percent have a household emergency plan. National Preparedness Month serves to encourage individuals across the nation to take important preparedness steps including: getting an emergency supply kit, making a family emergency plan, being informed about the different emergencies that may affect them, as well as taking the necessary steps to get trained and become engaged in community preparedness and response efforts. September is National Preparedness Month (NPM) and a good reminder that we all have a responsibility to protect ourselves, our families, and our communities. Emergencies will happen, but taking action now can help us minimize the impact they will have on our lives. This year, NPM focuses on encouraging you and other Americans to take active steps toward getting involved and becoming prepared. Preparedness is everyone’s responsibility. We have to work together, as a team, to ensure that individuals, families, and communities are ready. Make a Plan; Put together an emergency supply kit; Stay informed; Work as a team to keep everyone safe. Below you will find a list of resources available for free to help you in establishing a plan for you and your family whether you are at home, work, have children in school when a disaster or emergency occurs as well as a break down for each week of September of key areas to focus on each week. Does your family have a fire escape plan? Make one today & practice two ways out of every room. Practice your fire escape plan by having a home fire drill at least twice a year with everyone in the home. Know basic home maintenance to protect your family and home. Learn how to mitigate your home against flood damage, or protect against the impacts of earthquakes. Put smoke alarms on every level of your home, test them monthly, and replace them when they are 10 years old. Insurance is the first line of defense; check your insurance coverage and review the Document and Insure Property guide. Flood Insurance allows communities and families to recover more quickly and more fully. Visit Floodsmart.gov to learn more about flood insurance and how to protect your home or business. Maintain emergency savings for use in case of an emergency. 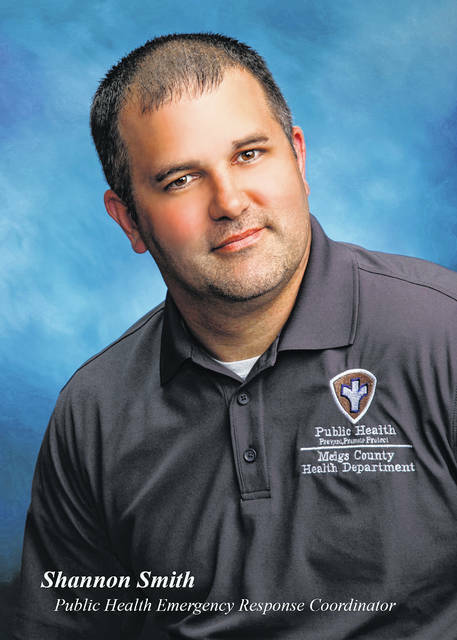 So, on behalf the Meigs County Health Department, please take a moment during the month of September to make a plan, practice your plan, share your plans with your family and encourage others to do the same so that when an emergency or disaster occurs you are ready to act on your plan.